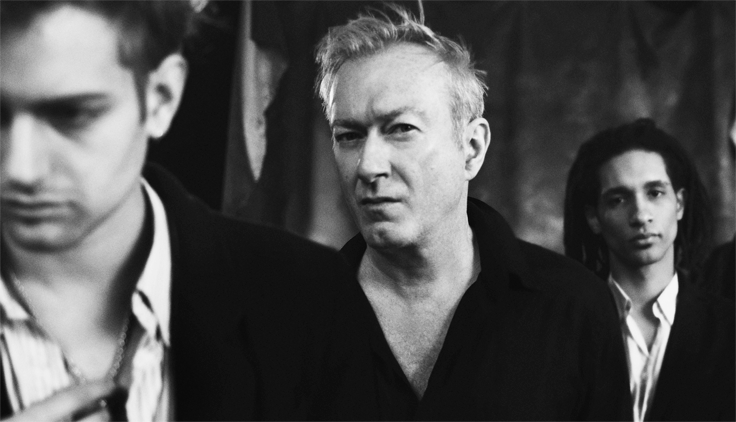 With 12 UK chart singles to their name, plus four #1s and two #2s in the US Dance Chart, SUNSCREEM stood alongside The Prodigy and The Shamen in the 1990s in pioneering commercial electronic music. They signed a major record deal in 1991 after only six shows and the accolades poured in: MixMag Award for Best Newcomer; NME Favourite College Band; even Best Scottish Dance Act, which wasn’t bad for a band from Essex. The single LOVE U MORE hit #1 in all three UK Dance Charts – a success that was replicated in the US Billboard Dance Chart – then PERFECT MOTION, with its infectious hook, sealed their place in dance history by reaching #1 on both sides of the Atlantic. Since then the band’s singles have consistently charted throughout the world and they have played live to hundreds of thousands of people. Whilst SUNSCREEM may acknowledge they have one foot in the nostalgia market, they are still making cutting edge dance music to this day with over 15,000 monthly Spotify listeners and two future album releases in the pipeline, including the infamous and unreleased OUT OF THE WOODS that fans have waited over 20 years for. 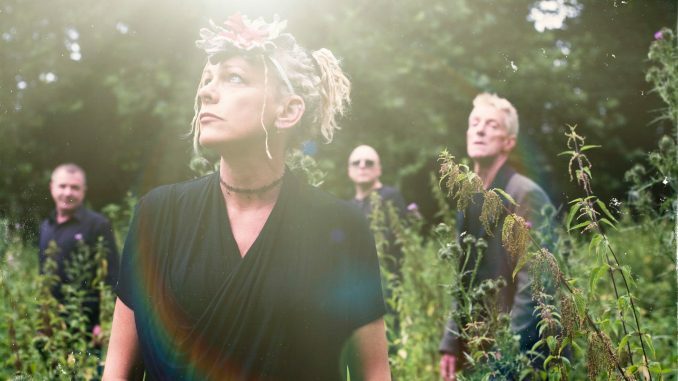 Mark Millar caught up with vocalist Lucia Holm to talk about the album. What were the early days of Sunscreem like before the band was successful? Lucia: We were recording all the time, and we did a few gigs that just seemed to click with the audience. It was quite chaotic, but we got spotted, and it was terrific that we signed a record deal. It was one of the last big deals of that time. We were so busy recording and doing loads of gigs – we did two hundred gigs up and down the country in 1992 before our first album O3 came out in 1993. What were the band’s early musical influences? Lucia: I had started to go out to illegal raves in Essex we were mainly listening to the early rave stuff such as techno-house and hip house it was primarily dance music we were listening to. Before that, it was mostly electronic music such as Depeche Mode and New Order and music like that. Sunscreem had 12 UK chart singles plus four #1s and two #2s in the US Dance Chart. The single ‘Love U More’ hit #1 in all three UK Dance Charts and the US Billboard Dance Chart – then ‘Perfect Motion’ reached #1 on both sides of the Atlantic even knocking Whitney Houston off the top of the Billboard Dance Chart. How did that feel when success started to come your way? Lucia: It was crazy, you couldn’t make it up. We were chuffed when it happened; we had a lot of support from our fans. We never really got any radio play from Radio One, so we never got any support from them, unfortunately. I don’t think they liked us or dance music in general at that time, but we got a lot of support from student radio in America. We were too cool for Radio One daytime (laughs). Sunscreem won plenty of awards back in the day including Mixmag Award for Best Newcomer; NME Favourite College Band; even Best Scottish Dance Act. What was that all about? In 1997 Sunscreem signed to the UK Indie Dance label Pulse 8 and completed a new album. Radio One banned the only single from the album ‘Catch’. Lucia: Catch was bigger over in America. When we would go over and play clubs in the states, they would play Catch and remixes of Love You More. We did a remix with M.I.K.E. Push of Who Will Love Me Now and we did a video and called it Please Save Me which didn’t do too badly. When you played in America, the clubs would be rammed with people. Lucia: Yes, that’s right it’s a slightly different scene over there. There was no Chicago house going on in Chicago, and there was no Detroit techno going on in Detroit as far as we could tell, but we did ask. We supported New Order over there, and it was fantastic there were thousands of people. It great supporting someone because you have got a captive audience as well – it is excellent. The unreleased lost album Out Of The Woods is finally released over twenty years later; It was to be your third album. What happened that it didn’t get released at the time? 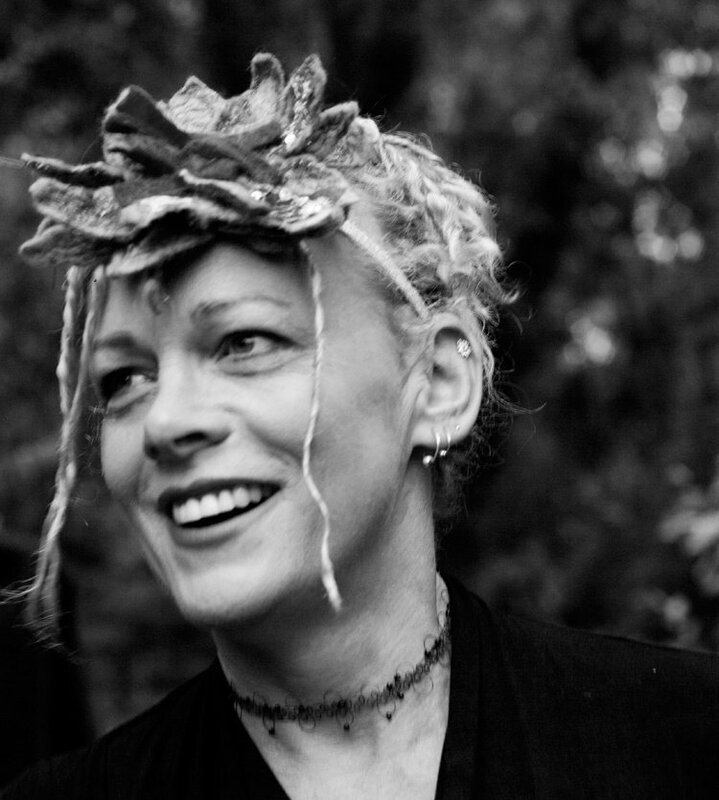 Lucia: The record company went under, and I’m not quite sure what the ins and outs of it were, but we were left with the producer’s bill and huge debts after that. It wasn’t a very nice time in our lives because we were expecting our first child, but we got through it. We got someone to help us to sort it out with the management company but we left the album behind we couldn’t face it, but years later we came back to it and realised it still sounds quite fresh, so we decided to put it out. Over the years the fans have been asking us to put it out so we’ve added another track and everything else is original from what we did then we have just made the sound better. The album was recorded on two-inch tape then it was converted not very well to digital, so we tried to make it sound better than it was. An incomplete low quality-bootleg of Out Of The Woods has existed for years. That’s right, and they didn’t sound great. The record label Pulse 8 had given a few people promos of the entire album, and that’s how it got out there. How does it feel that the album is finally seeing the light of day for the fans? Lucia: It is good because the fans have always given us a lot of support. We are getting a lot of orders for the record, so hopefully, it is going to get out there for people to hear. The production is excellent on it, and the songs seem to have stood the test of time – I hope everyone enjoys it. Will you be touring the record? Lucia: Yes, we do play a few of the songs from Out Of The Woods in the set anyway. We always play a remix of Catch and Please Save Me. I have been out busking on my own with a guitar which was terrifying. I played All Fall Down and Britannia which seemed to work quite well with me and a guitar. Looking back on the history of Sunscreem do you have any particular highlights? Lucia: When MTV moved to London, we went to the studio and did an ‘unplugged’ set with Darren Woodford on acoustic guitar and me singing live on MTV. That was terrifying, but fantastic at the same time. We played Meadowlands arena supporting New Order, and everyone went crazy standing on their seats and singing – that was fantastic. 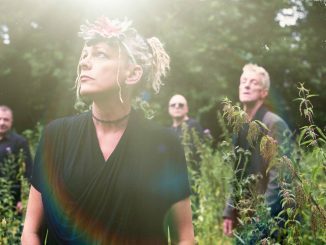 Lucia: We have an album’s worth of new material, so maybe next year we will release another one – we are on a roll now. 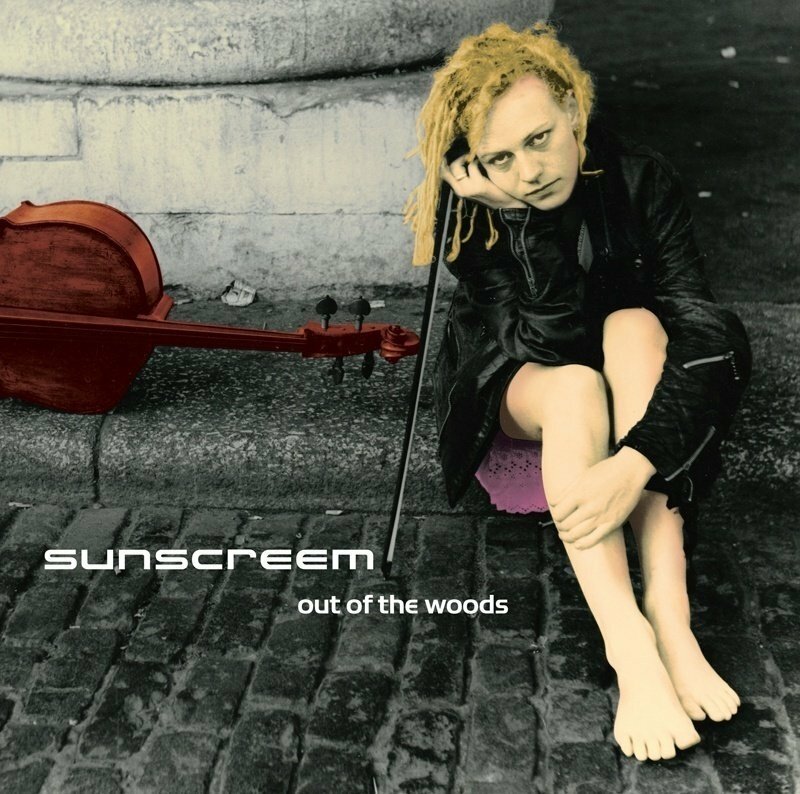 Suncreem – OUT OF THE WOODS is out now.